While I think long hair is beautiful, short hair can be just as lovely. Semi-inspired by my Blogspot friend Glamour Blog (formerly Glamour Bbey). (who has lovely short hair herself), I'm providing this blog entry to discuss short hairstyles. Short hair is a bit more versatile (many others would say more manageable) since you can go for a chic style or go for a boyish cute hairstyle. Even if you already have long hair, you can still wrap your hair up without losing your long locks of hair. This blog entry is a look at short hairstyles for females. Even though the aforementioned Cindy of "Glamour Blog" has lovely short hair, there is another fashion blogger who has lovely short hair. Meet Karla of "KARLA'S CLOSET" to see her messy short hair: KARLA'S CLOSET. PERSONAL NOTE: Thanks to all of you for making this one of my most popular blog posts! I never thought that doing a post on short hair would get so many views and get so much support. Please be sure to share your ideas on what you think about this topic by posting comments. Do remember- any suspicious or spammy comments WILL be disallowed. Enjoy this post! Short hair can be either chic or boyish, allowing for a variety of possibilities and ways to dress it up or down. A bob is the most basic of short hairstyles. Short hair allows for sophisticated style (especially from the more chic) styles. Short hair can range from sophisticated to edgy, from cute to tough, from ladylike to rock star, and from feminine to boyish. Even if you have long hair, you can still wrap up your long hair to go with a lovely short hairstyle. A simple updo is great if you don't want to trim or cut your long tresses. I will surely count updos as short hairstyles since this is all about short hairstyles. I will even count short ponytails and pigtails as short hair. The Posh Bob (or "Pob") and Other Boyish Hairstyles. ^ from: smh.com.au - the Posh bob combines boyishness with feminine cute. ^ from: beautyschoolsdirectory.com - the Posh bob- boy tough, girl cute! ^ from: huffingtonpost.com - a more feminine version of the Posh bob. Unlike the previous picture, this one still provides great feminine appeal while providing some edge. The Posh bob has been highly regarded among most ladies for its edginess and cuteness. ^ from: hairstyleslibrary.com - an ultra-feminine bob, but with a boyish touch. I finally end this area by showcasing this bob I found in a Google Images search (that's how I do most of my image searching). This is smooth and sophisticated with a little bit of boyish charm. The end result is a feminine hairstyle with a little bit of boyish charm. I'd see it as a cute way to have a boy's hairstyle while not being overly boyish. Hairstyles such as the Posh bob or the one I just glanced on is a good way to enjoy boyish cute style. ^ from: hairstylesbob.com - a kawaii Japanese bob from model/actress Kato Natsuki. ^ from: asianhairandbeauty.com - a Korean lady with a bob hairstyle. When it comes to Asian bobs, their simplicity makes them fun. I usually see bouncy bob hair in regards to Asian bobs. The face is shaped beautifully with these Asian bobs. I think their cute faces to go along with these cute short hairstyles make this look stand out most for Asian ladies. Curly Bobs (and Curly Updos). ^ from: becomegorgeous.com - Rihanna's short curly bob. ^ from: prommafia.com - sweet as sugar Selena Gomez with her equally sweet curly bob. I always say that curly is cute. That's true for curly short hair as it is for curly long hair. Shaping your face with curly locks of hair provides a catching and beautiful touch. Personally, I think curly short hair can be fantastic for formal and semi-formal occasions. You need a hairstyle that is beautiful and sophisticated. Short curls of hair can be just as lovely as having long curly hair. ^ from: aaa-fashion.com - Taylor Swift's usually long hair done up for a short hairstyle. This was from the Grammy awards last year or so. Taylor Swift sometimes goes from her long hairstyle to a sophisticated short hairstyle. Taylor is usually looks like a goddess anyways. This updo of her hair adds a sophisticated touch apart from her goddess-like long curly hair. A lovely pair of earrings (or maybe some hair accessories) can help make your beauty stand out even more. 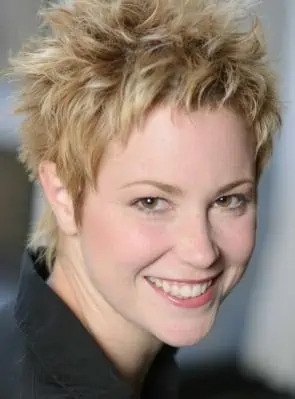 ^ from: buddytv.com - spiky hair from actress Kim Rhodes. ^ from: americansfortruth.com - This lady from Metarie, Louisiana has a famous daytime TV talk show. Can you guess who she is? ...and that would be Ellen DeGeneres. 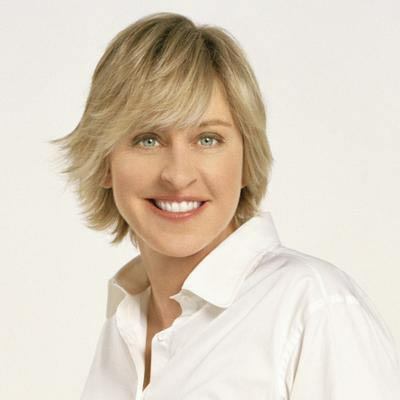 Ellen DeGeneres is surely one of the funniest women on television. She also has very nice short hair. ^ from: shorthaircutstrends.com - boy-meets-girl! But what do you think- does she look more boyish or more feminine? ^ from: greatestlook.com - this is much more boyish spiky hair than the previous picture. ^ from: photobucket.com - spiky hair is popular among rock and emo folk (males and females). I'm not much of a rock person or emo person, but you probably are or know someone who is. Rock and emo basically exaggerate toughness and edginess, even glam rock. Either hair spray or hair gel will help maintain spiky hair. Wrapping up your hair in a ponytail is a very simple short hair look. If you're a fan of my "Sporty Cute!" blog entry, then ponytails are definitely sporty cute. ^ from: blackhairplanet.com - a beautiful short ponytail worn by an ebony female. I actually wanted to find more short ponytails, but couldn't find anything really better than this one. But always remember- blog entries of mine just don't go to die. I may update this blog with more content in the future. Other Short Hairstyles (and Random Shout-Outs!). ^ from: b105.com - Paula Deen and her beautiful silvery short hair. Paula Deen (whom I've blogged about previously), to me, is a beautiful queen. The Georgia girl certainly the queen of Southern cooking. Her short hair looks wonderful. Sophisticated and elegant are two words that come to mind as Paris Hilton rocked this bob at the Teen Choice Awards once. Whether you like Paris Hilton or not, she does know how to look sophisticated and chic. This young short-haired lady is very beautiful with her outfits and her fashions. Her hair and face are about as lovely as the various fashion items she wears and features in her pictures. My Blogspot friend, Cindy, from Belgium is the inspiration for this blog entry about short hair. This teenager's style is exceptional with her many outfits. Her short hair is more along the lines of boyish cute. Her short hair is very sophisticated and charming. And again, it is her lovely short hair that has become the emphasis for this blog entry on short hair. If this is what you want to do, then go ahead and do so. Just be sure to stylize your new shorter hairstyle any way you please. • Make an updo of your already long hair. You can just updo your hair to a lovely style. This will open the opportunity to have your own unique short hairstyles without getting rid of your long tresses of hair. • Just enjoy your long hair. ...or just hang on to your long hair. If you love your long hair and wouldn't consider cutting it or doing an updo, that's your call. Some ladies' hair grow quickly, so unless you want to really have short hair, it's all up to you. I honestly never thought most of my blog entries on hair would be so successful and well-viewed. I do nothing to discuss actual hair advice or anything. I do thank my loyal fans for reading my material and supporting my material. I hope this blog entry, and my others, are of your enjoyment. Make sure to subscribe to my blog and comment on my work if you enjoy it. Don't just read and leave- let me know if I did a good or bad job. The best way to keep up with my blogging material is to subscribe through whatever blog service you love using. So be sure to subscribe to my blog to stay up-to-date with all of my material. Having said all of this, thank you for reading! 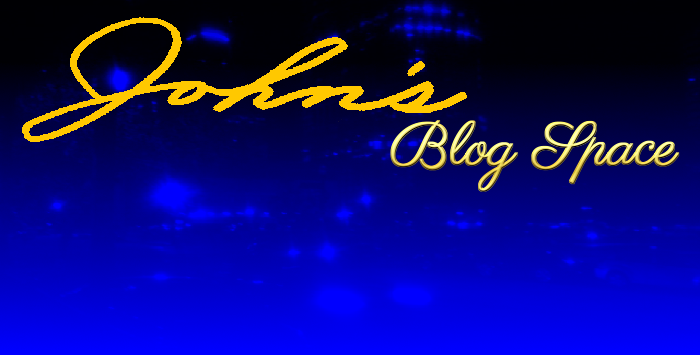 "Like" me on Facebook, Follow JBS, and/or Contact Me via E-Mail! I'm more of a long hair type now but I used to wear my hear very short and just had a lot of fun trying different lengths.